I’ve been seeing #MilesChangeYou all over Instagram and it wasn’t until just last Thursday that I actually started to think about what that hashtag really means to me. The general thoughts that first came to mind were about how the miles I run each day change me. Things like how a 7-miler in my favorite neighborhood fills me up with enough endorphins to last me until my next run. I think about how the miles I run help me to feel gratitude for the people and things in my life, which really is the key to happiness for me. I thought about how mile after mile changes my perspective on problems and allows me time each day to think about my relationships, to pray and to ease anxieties that are creeping up on me. I think about the highs and the lows and how running has taught me to bounce back from setbacks and to try even harder the next time. And then I thought about the more personal reasons of how the miles have changed me over the years. The experiences while out running on the roads that truly changed me that are so deeply imprinted in me now that they go far beyond just a few endorphins. There are some specific miles that changed me. Some miles added up over the course of a year changed me. With all these miles, I can truly say I am changed. I wanted to share with you one of the biggest ways that the miles have changed me. The miles over the last 16 years have taught me the importance of fueling my body properly. It changed the way I viewed my body and exercise more than I could have ever imagined. When I first entered college exercise was purely a way to burn calories for me. I didn’t enjoy it. It felt like torture. Exercise at that time actually made me feel like I was never good enough because I could never quite burn enough. But then I started running more. And more over the years. It started as another way to just burn more calories and over the course of thousands of miles along the way I no longer even think about the calories. I think about the goals. I think about strengthening my body because of the miles. 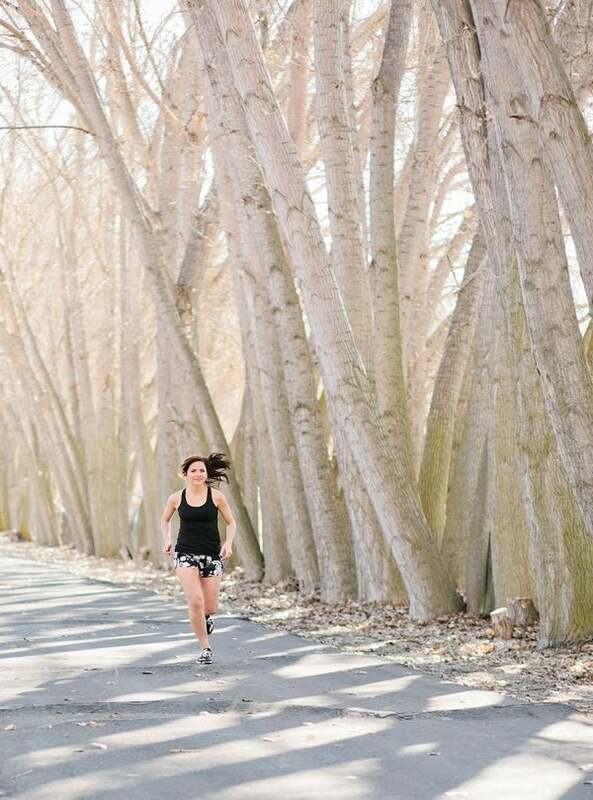 The miles changed the way I viewed my bod—thighs/quad/glutes are tools to get me up a hill or to hit a goal pace rather than something that needs to be changed to fit a certain mold. Running helped me to learn the importance of taking care of my body. Fueling it with enough calories to stay injury free, healthy and keep a period after struggling with amenorrhea for years. The miles make me celebrate my body and the fact that I get to run. Running helped me to change a once disordered eating mind to one that wants to do everything possible to stay strong, healthy and a good example for my daughter. The miles gave me confidence after proving to myself time and time again during the track workouts, long runs and tempo miles that I can do hard things. Those miles where I want to quit have shown me my strength. How have the miles changed you? Tweet @HungryRunnerGrl and @WomensRunning and share!